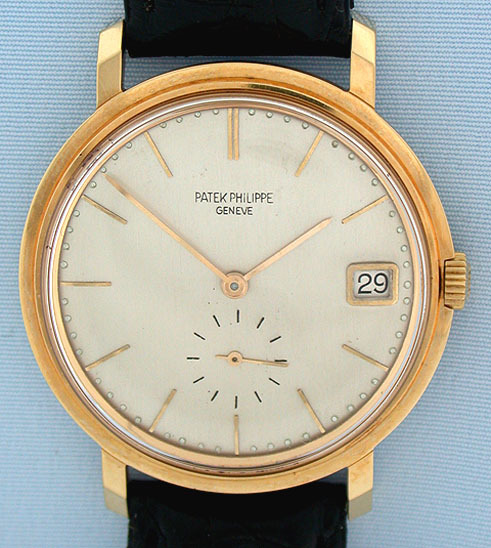 Fine Patek Philippe reference 3445 18K gold automatic calendar vintage wrist watch circa 1964 Refreshed silver dial with gold markers and gold hands. 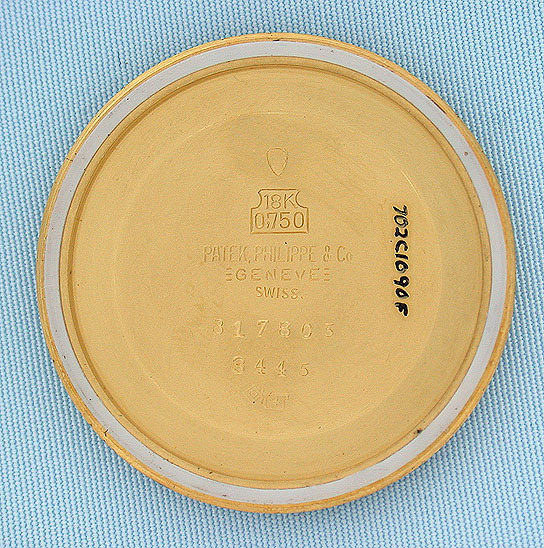 Screw-back case with downward sloping lugs and original crowns. 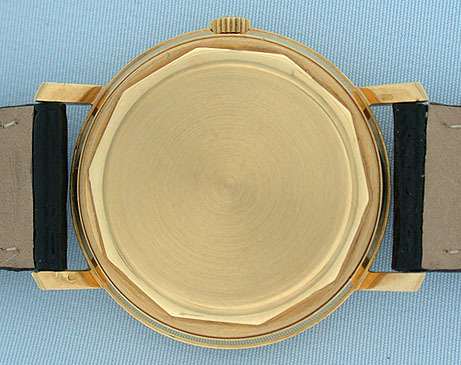 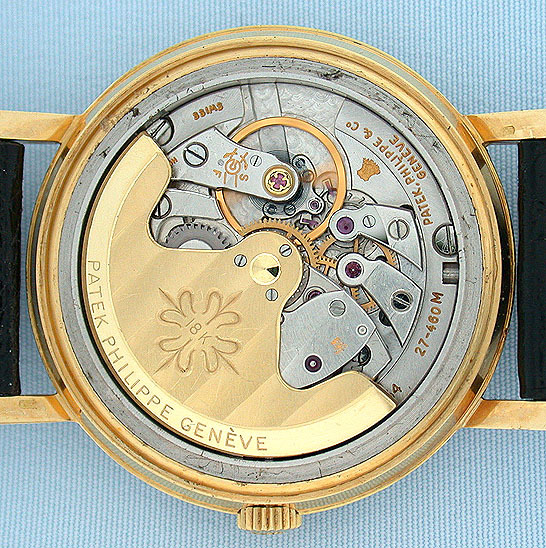 37 jewel 8 adjustment calibre 27-460M movement with 18K gold rotor and two Geneva seals. 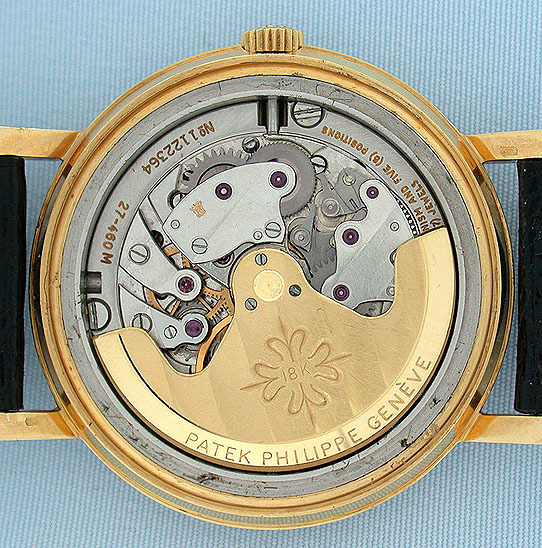 Handsome classic.